Cultivated Journey. July 15, 2018 to Nov 30, 2018. See a list at the end of the post of where each marker is. We are just two letters shy of an entire alphabet! Which is better than being ” a few sandwiches shy of a picnic” I say, if you know what I mean? According to MapQuest we are currently at stop “X”. 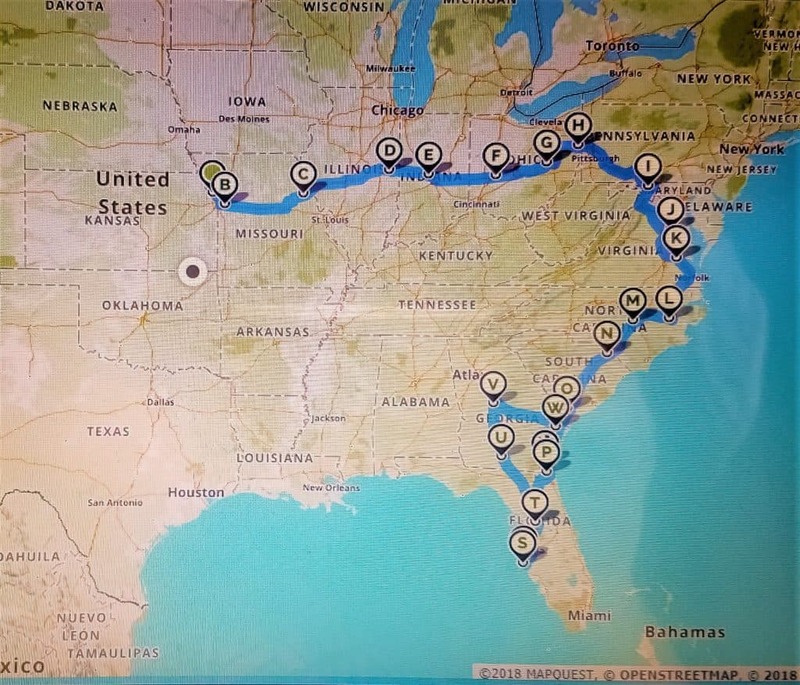 I wanted to SEE the progression so I plugged it all into their directions tool & it turns out that you can put as many places as you want in to MapQuest! 3007 miles in the RV. WOW. 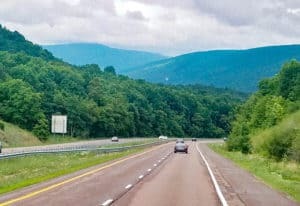 Our journey over the north end of the Appalachians ,,, into the Virginia’s. New territory for both of us! MapQuest called this a 48 hour trip. We call it a journey & it’s taken us over four & a half months! For me this is just a visual illustration that it really is all in how you look at something. It also makes the case for stopping to enjoy the view! The tortoise really won the race my friends… it’s not about the destination, or the speed with which you get there. It’s about the journey & achieving the right pace to enjoy it! So, as I write, we are at stop “X”. 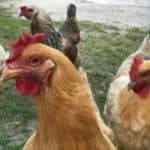 Stop “X” is called Walk About Camp & is in Woodbine, GA. & they have CHICKENS!! (I had seven when we were in our house so this thrills me). This is a really great little park owned by a real Aussie! 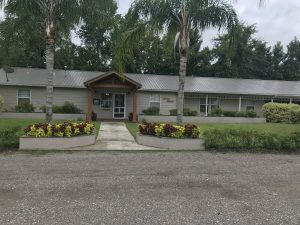 It is just off off I-95 north of Jacksonville, Florida. Looking back at the start …. stop “A” was Basswood RV Resort in Platte City, Missouri. For me, this post is a good time to look back at “where we’ve been” and then perhaps I will write a post on “what’s next”, next! 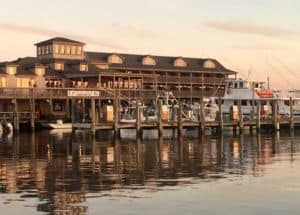 I have picked our six favorite stops There are six & not just five because one of them was a non-RV weekend at Outer Banks…so, it’s a bonus! Kansas City & Basswood …where the journey began! Just north of Kansas City, which is home for us…even without a sticks n bricks because it’s where we’re from, where the kids & grand kids are ….so, home! I have ‘camped’ at Basswood over the years with friends & family for weekend getaways but I never thought I would spend the first two months of my “RV Life” there. 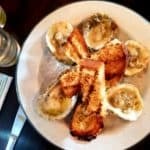 It is a real gem & if you are in the Midwest, stop in & stay. Little did we know how spoiled Basswood would make us … we were about to find out that we would not be finding this type of campground everywhere we were about to journey. Basswood is cabins, lodges, RV & tent camping. 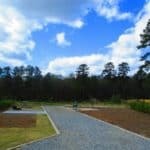 The RV pads are concrete & the view is nice from all over the park. 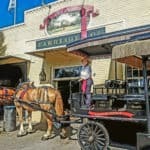 It’s great for families as there is always a lot going on with activities (themed weekends) & they have a full store with a pizza parlor (there’s a lot more than pizza available & they deliver!). We swam in the pool, walked by the lakes (you can fish if you choose), helped judge for an annual BBQ competition, rode on the hayrides & bubble-rides & made some great new friends while we were there. It will be our ‘home-base’ campground from now on when we are back in KC! So … this is just an awesome logo, right? 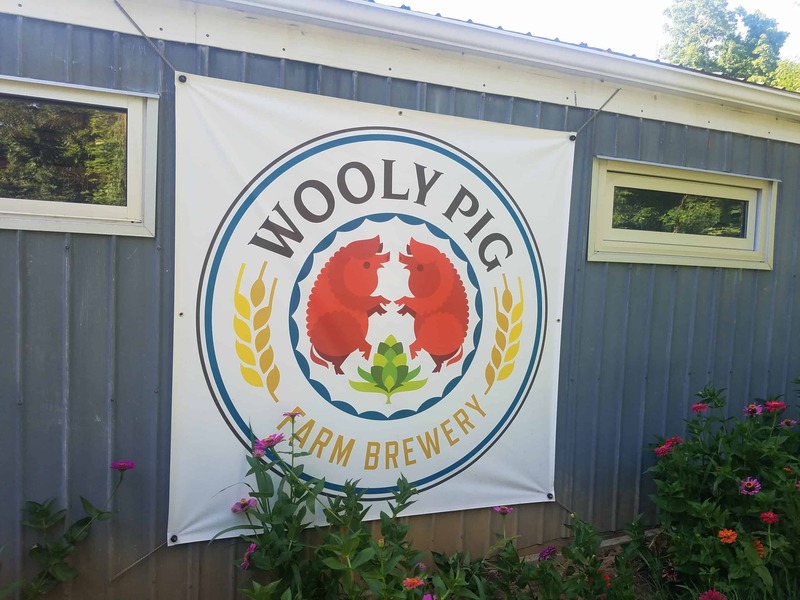 This brewery really is on an off-grid farm. 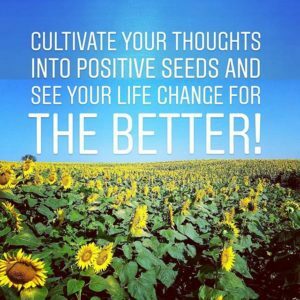 We were brand new RVer’s & me being me, I was determined we would use Harvest Hosts (see link at bottom of post) as soon as we could & as often as we could in this lifestyle. So, when we found ourselves driving off the interstate, down a windy highway to an uphill country path G.R. looked at me & said “really?”…..I looked at him, smiled & shrugged. I replied with ” yes, we can do it”! So up we went. 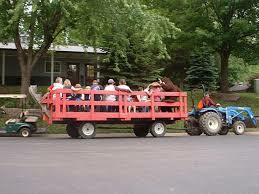 After all, the Harvest Host website said they fit rigs up to 45 feet & we are only 40. Ha. We carefully climb the gravel road, get mid way up & see the sign (& the building in the picture above) which is part of the brewery. And then I saw the pigs…they really were wooly pigs!! There were goats & horses too. They had us park in their back, upper gravel parking lot. It was picturesque. 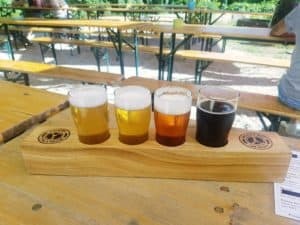 We were still new so we had to move once to get a more level spot BUT the view was amazing & the brewery was a walk down the hill, where we were greeted by the owners golden retriever. 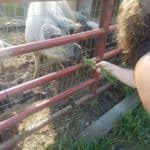 We ordered a flight & then walked to see the pigs …. they were wooly! 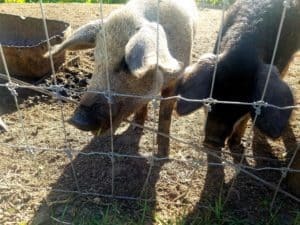 Turns out they are curly haired mangalitsa pigs that the owner first admired while traveling from brewhouse to brewhouse in Bavaria. You can (& should read more with the link below). The owners even built their (off-grid) home at the edge of the property plus they practice all sustainable farming … so it’s all the REAL DEAL. The heritage pigs will also serve to supply cured meats to the brewery in the future . I was just giddy being there & we got to stay all night too! (I even loved the ominous 100+ old empty, original farmhouse that still stands on the hill over looking it all!) We will definitely go back some day & if you are even close to this in Ohio – GO !!! 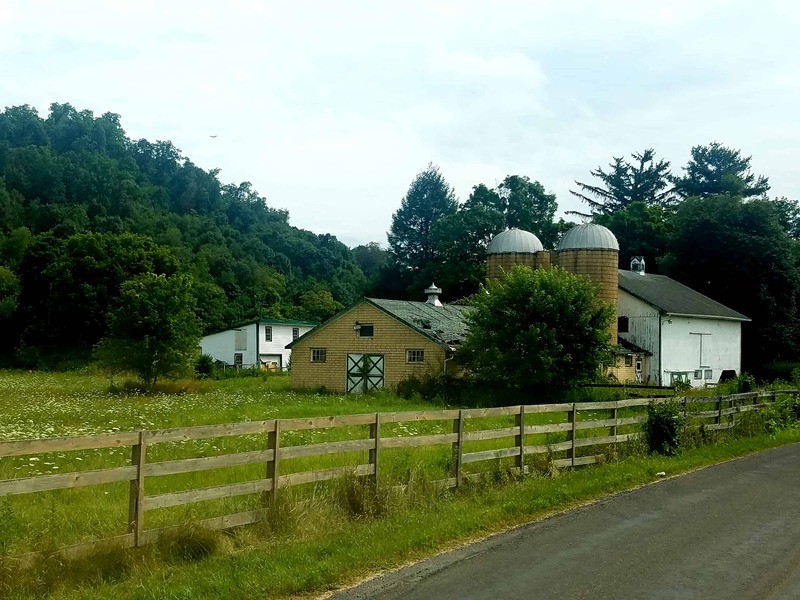 This was a farm we passed when we were out on Saturday morning visiting farm markets & a local dairy. I love a yellow barn! Negley is described by Wikipedia as “…. 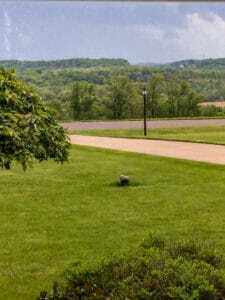 a census-designated place in northeastern Middleton Township, Columbiana County, United States. The population was 281 at the 2010 census.” I knew that the area was predominantly rural &, per my friend, full of rolling hills & picturesque views… but, to say were completely prepared for the windy country roads from behind the windshield of a Class A Motorhome… well, we weren’t. As we traversed Highway 7, that runs alongside the Ohio River (which borders Ohio & Virginia), we had no idea we would have an experience that we now refer to as ” The-Great- We-Almost-Put-the RV-into-a Ditch-Skidding-Sliding-Stop-of-2018″ … but we did! “Memories” is what we call these learning experiences. And yes, with each one, we learn! When we arrived at my my friend Nola’s house we were struck by the view from her front yard! I get why she picked this area! We spent a lovely extended weekend ‘mooch-docking’ in her cul-de-sac. I highly recommend staying ‘with’ a friend, outside their house, any chance you get. 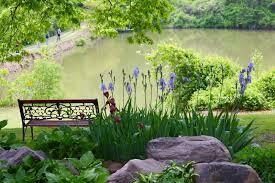 It’s the best of all world’s … you get to visit & everyone still gets their own space! The weekend brought an amazing Saturday taking in a sampling of the small area teaming with local delights. Nola is with a food service company & a food (&-all -things-local)-lover as myself so she had a great list of her regular destinations already planned! 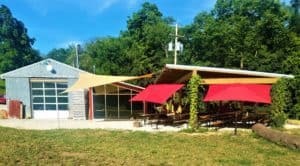 We started at Peace Valley Orchard Store in Rogers, Ohio and from there stopped on the farm at Bakers Golden Dairy the only on-farm bottling plant in the entire area. I bought butter & milk (I refuse to buy large dairy of either). Their ice cream was also amazing! No one was in but the cows so we paid on ‘the honor system’ with a clipboard & money box at the front counter! Next we hit Van Pelt’s Farm Market; a small farmer’s market run by a wonderful Mennonite family in nearby Salem, Ohio. 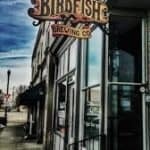 You could see some of the crops they were selling across the street & they had wonderful baked goods, canned items, etc … I was already so happy but then from there we went to a nano-craft brewery called Birdfish Brew that was opened in 2015 in Columbiana. 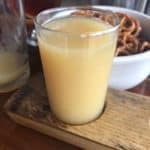 We ate pretzels, sipped a (tasty) beer so cloudy it looked more like grapefruit juice & enjoyed the live music. 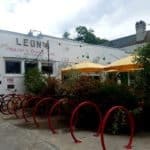 It was a very cool place with an eclectic vibe. Our weekend was mostly full of great coffee, conversation, snacks, smoked meats, beer & wine … then we hit repeat!! 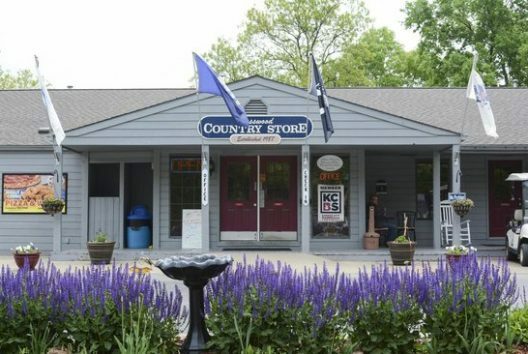 I will say, that even if I didn’t have one of my very best friend’s in the world there, I would still recommend passing through & catching some of the local fair… you will be transported back a bit in time, and you will have a gorgeous drive & perhaps get some yummy local fare along the way! This photo credit goes to the Breakwater website, but it was too good not to use. Breathtaking, yes? 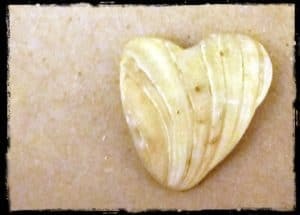 I found this shell … I heart the OBX! 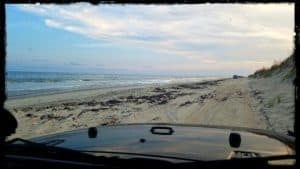 This may be more of a pictorial diary of our journey but let me say that WE WILL BE BACK … we did not get enough & next time we WILL take the RV on the ferry to Ocracoke (it’s where we took the Jeep on the ferry back this time.) Next time we will make it up to Kill Devil Hills & Kitty Hawk as we passed by them by on the way south to Hatteras this time around. We will probably plan a whole month there someday … at least. Here are some of the highlights. 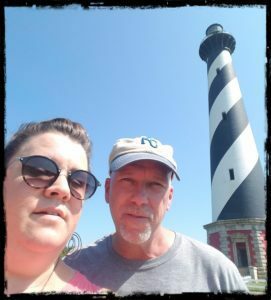 First stop, Cape Hatteras Lighthouse. I also kind of have a ‘thing’ for lighthouses (not a weird tchotchke kinda thing) but just that same ‘tug at my heart’ between the romance & tortured seclusion of the keepers & their families tending to the lighthouses to keep sailors safe, bringing them home to shore. So we had to go. It was very hot & there was a long wait, so we didn’t make the climb but we loved touring the keepers house & talking to the ranger on site. 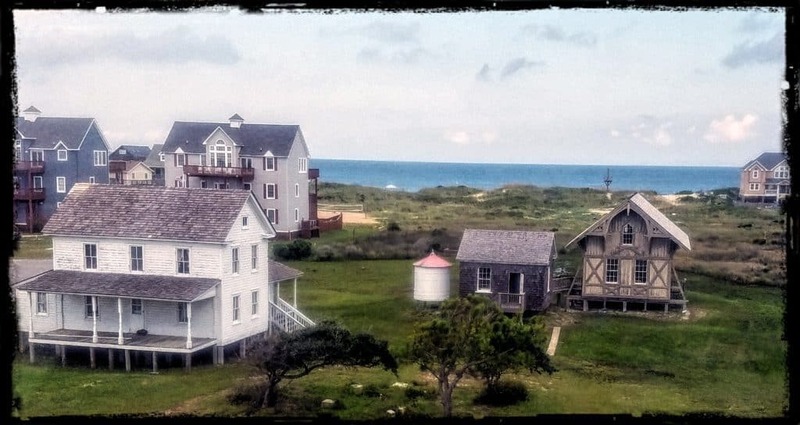 The architecture of the Outer Banks is iconic & beautiful. 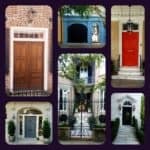 I could look at these houses all day! United States Life-Saving Service (USLSS) and United States Coast Guard (USCG). 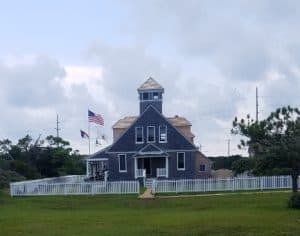 It is located in Rodanthe on Hatteras Island in the Outer Banks….the surviving buildings of the station form a museum. The USLSS was the predecessor to the USCG & this was an amazing place!!! I would go again. I hope you click the link at the bottom of this post! Then there’s the FOOD, right? 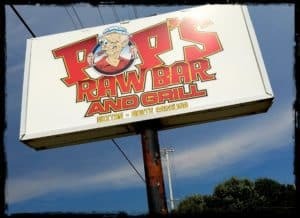 It always comes back the the food with me … we found a little local dive place called Pop’s Raw Bar & Grill. We went every day. The food was that good. The service was better. The waitresses remember you & what you drink. Everyone knew everyone’s name & visitors fit in just as well as the locals. The two tourist families that appeared to be vacationing together with little kids buzzing about fit in as much as the older local couple at the bar (that said they come in every day) and as much as the three 20-somethings just stopping in for a beer on their way to the beach in their Jeep! 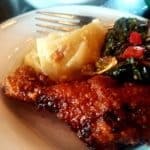 The air was filled with laughter & gossip & good conversation … It was clean & eclectic & the menu was just good, real food with a Chef’s touch of original but without being pretentious at all … OUR KINDA PLACE!! We still talk about Pop’s! And then THERE IT WAS …. 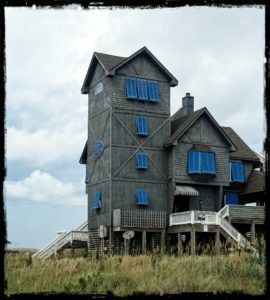 The Inn at Rodanthe!! I could see it from the distance as we approached! 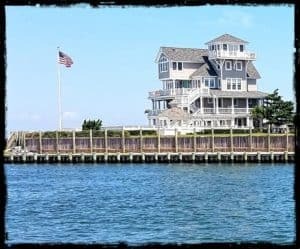 If you haven’t seen the movie, it may look like another house in the Outer Banks (which is fabulous enough) but if you love the movie like I do …. I could hear the soundtrack of the movie in my head when we pulled up….AND ITS FOR SALE!!! Now…. for Just. One. Moment. I starred at my husband eyes glistening … then we laughed. First of all, we don’t have that kinda ‘chedda’ but also, we have too much to see too many places to GO! So, if one of my readers buys it …. 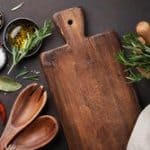 know that I will come be your Chef anytime …. FOR REAL!! 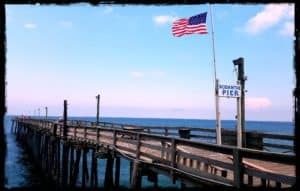 Next we went to the Rodanthe Pier (also in the movie) & had a beer. The VIEW. The SEA! 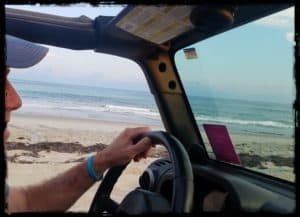 We got our beach driving permit AS SOON AS we got to the OBX. This was on G.R.’s bucket list I think. We went out several times. They give you very clear maps of access areas. DO THIS if you have a 4×4. It truly elevates your experience! We will do this anywhere we can now… it was that much fun. So there we were, in one of the most magnificent places, at the edge of the country, on August 7 this year. On this day in 2016 my (middle child), my 21-year old son Alex died. 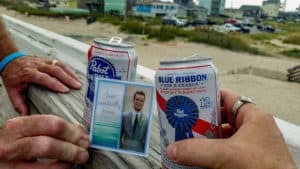 We toasted him at the Pier that day & that evening, on the beach, we lit a candle, sat with Harper (his dog/our grand pup) & released some of his ashes into the ocean. I was with my other two children, via modern technology (live video), as they lit candles on their end with many of his friends & our family. Alex would have loved this. He is still here uniting us. He is with me every breath of every day helping hold my shattered heart together & reminding me of the short, precious gift we have in life … & reminding me to choose joy & find laughter amidst the sorrow. I am thankful for all of my children, & grandchildren & G.R. & family & friends …every day. I was thankful for this moment we shared. Here’s to many, many more. The Jeep & our RV, YOLO at our campsite. We were there 12 days. The Oaks are plentiful & tall at this campground. 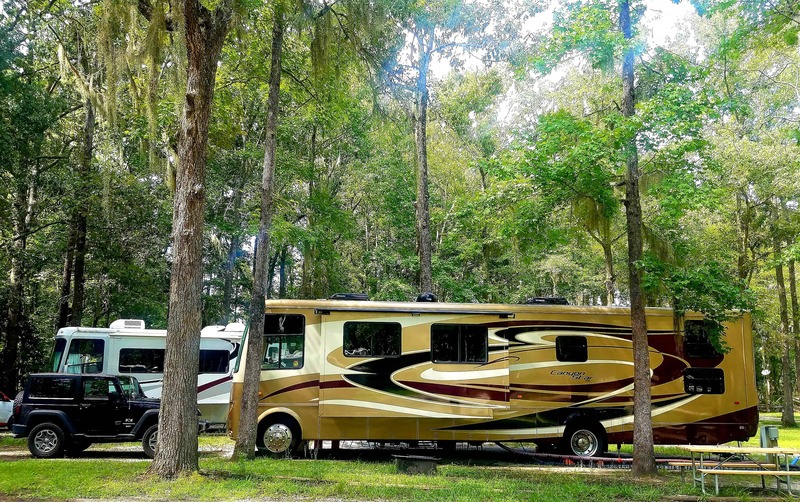 This Thousand Trails campground sells itself as low country RV camp near historic Savannah. And, it is. And I truly became enamored with the Low Country. NO joke. 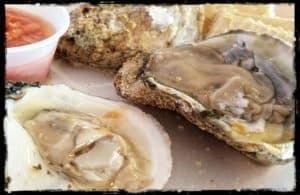 The food, the people, the history, the sea, the estuaries, the trees! 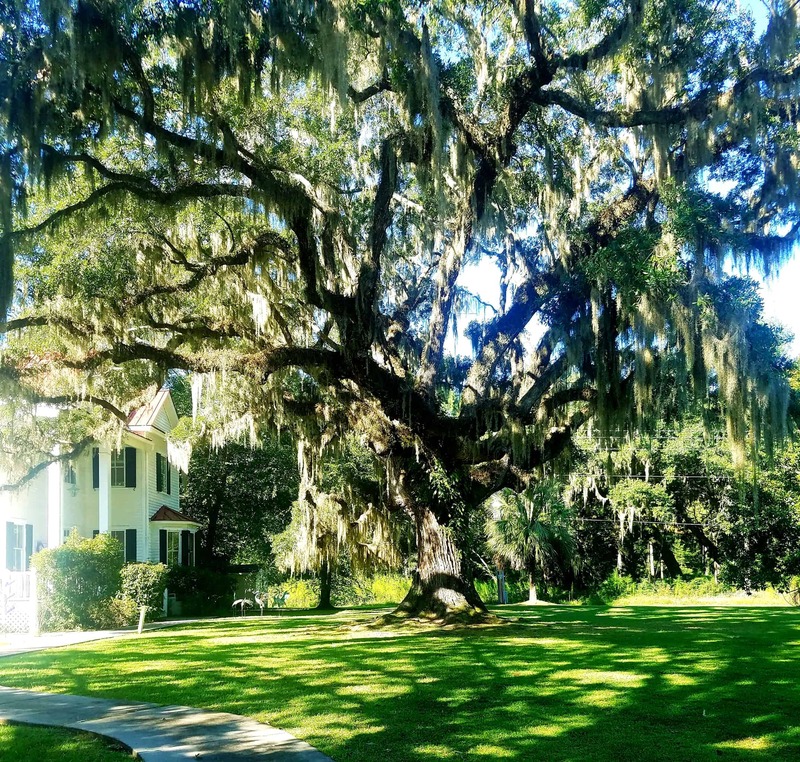 The huge oaks, dripping with Spanish moss …. I am a sucker for these! This was a plantation turned visitor center. The tree was the highlight! How could it not be? Food of the region. We stock piled these sausages into our freezer! 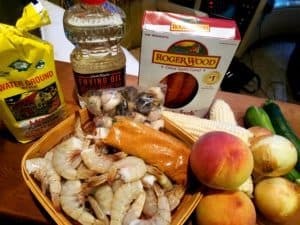 The shrimp, grits, conch, peaches … all of it!!!! 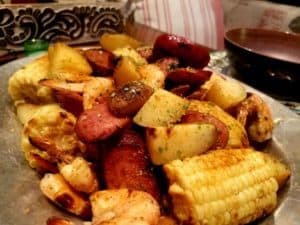 We went with a low country grill not boil … the result was the same — DYNAMITE!!! 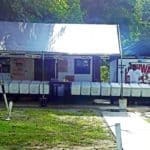 This was the roadside seafood stand we stopped at many times! It’s on the way to Beaufort on Hwy 21 (like the sign says). These guys were so nice! There is also usually a ‘guy with fresh produce’ in front of the bar next door so, win-win! 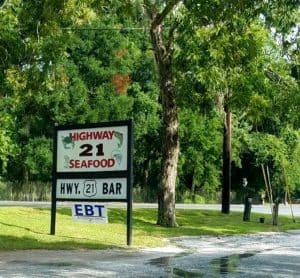 And yep, you see it right, you can use food stamps for the seafood which I applaud… good, real food should be more available to everyone! We got used to traveling with a cooler in the back & the seafood stands will always give you extra ice. 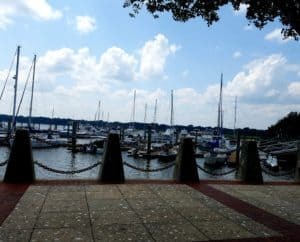 We especially loved the river walk area in Beaufort. 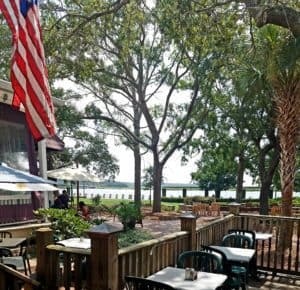 Good food, pet friendly & the water! 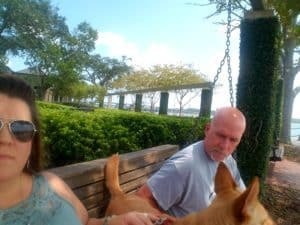 We only went to Charleston (above) for a day but we soaked it up & look forward to returning the next time around. 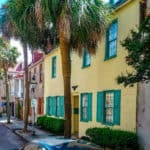 Charleston just oozes history & character … along with it’s sister Savannah, these two cities typify the South! This whole area is one of those places I would be happy “staying awhile” … I say “see you soon” to the Carolina’s for sure! This is where we spent Thanksgiving this year. This place is already amazing but I have to tell you that their vision (they are still expanding/building) is even better! We were lucky enough to have friends want to come spend the holiday with us & we even had another set (both from KC) join us from Charleston (where they were with family). We were too busy making memories to take many photos …sometimes you have to just ‘be present’ & write about it later! This one from the fire pit captures the feeling of CreekFire though. 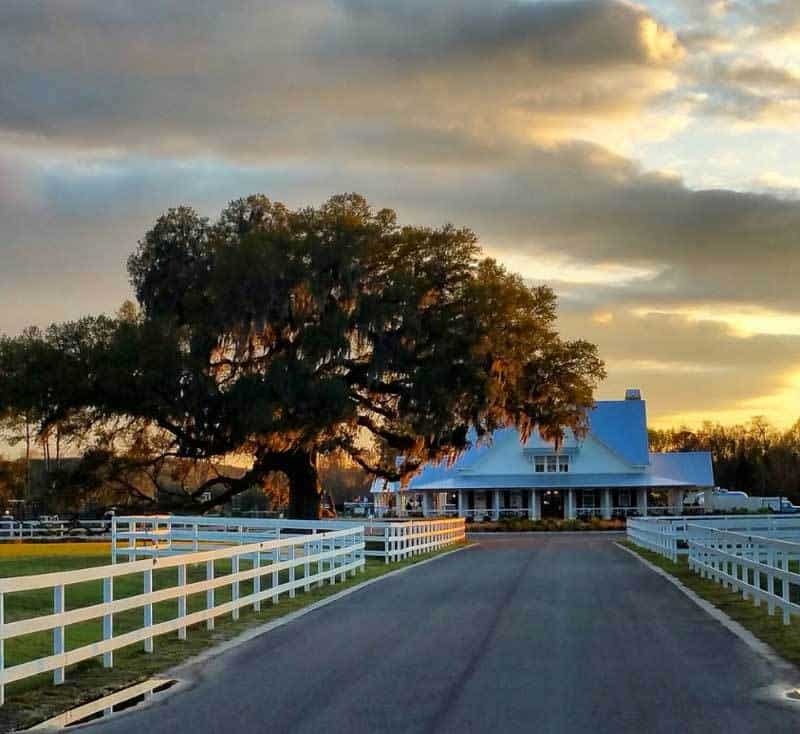 The design of the buildings makes it look like a horse ranch. The sites are either back in gravel of pull through concrete. They all have nice picnic tables & set fire rings. 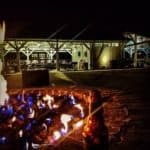 They have a great clubhouse, pool area with splash park (I have heard talk of building a lazy river) They have a ‘bar’ where we listened to live music from the fire pit. There is a restaurant/bar being supposedly being built beside the large lake. They rent kayaks & canoes. The list goes on. 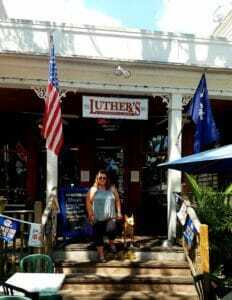 I freaking loved this place AND it is affordable! I mean it’s not cheap, but it is priced very well for what you get … the value is there! Some resorts are just plain over priced. This one is not. I think CreekFire really ‘gets’ today’s camper — both part-time & full-time. 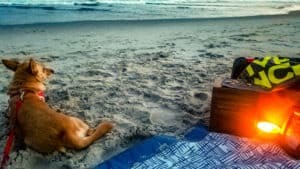 This will be a resort for modern campers that want to get out & explore but still want to be plugged in to the world — or like many of us that work from the road, & still have to be plugged in. There mantra is Park.Relax.Camp. They mean it. YES, just like all of the others in my top 6, we will be back! AND, just for fun, here are our STOPS in order (in case you ever want to ASK ME about any of these places) All 3007 miles of them. I have taken the liberty of starring the top 6* that I wrote about above & included LINKS for them as well. I hope you get the chance to enjoy some of them too! WHEW!!! This was a great journey down memory lane … THANKS for sticking it out til the end & coming along!! I look forward to seeing what the next four & a half months brings! I loved living it & sharing it! It looks like you’ve been having a great time! We have. I am excited for when we happen to be in the same area & can meet Julie! I love your photos lately!